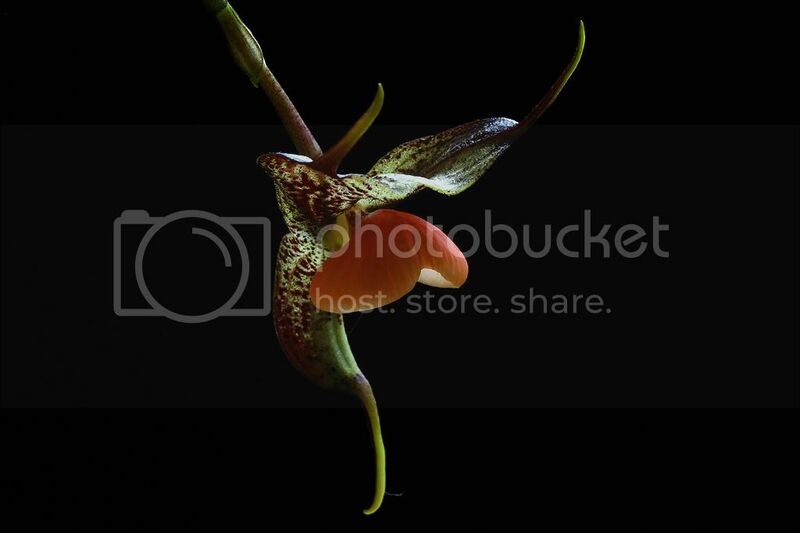 This species is found in the Western Cordillera of Colombia at 1800-2000m. 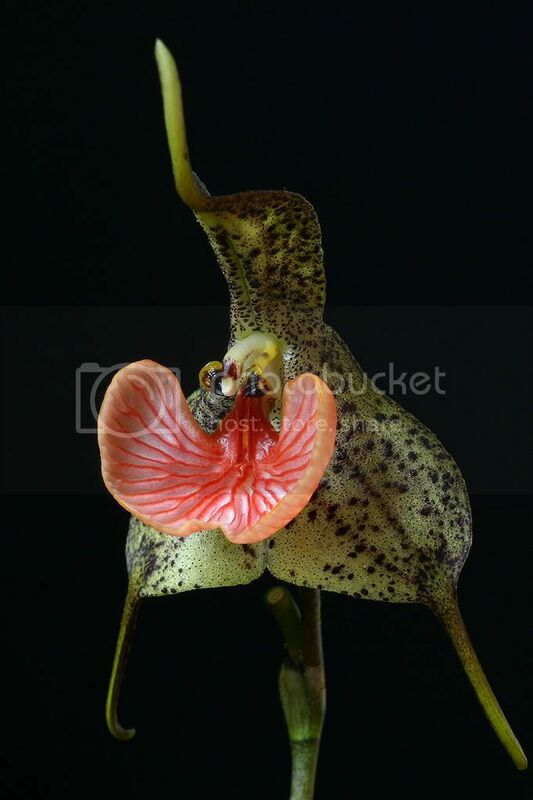 The unusually large lip (2,5cm wide) of D. chesteronii mimics by scent and appearance the fruiting body of a mushroom to attract fungus gnats. 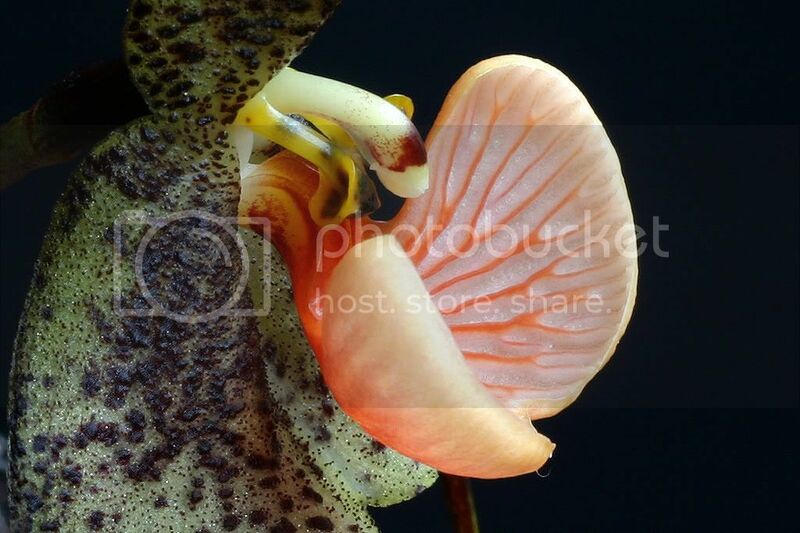 The flower size is 7cm including the tails and the leaves are around 15-20cm long. It requires cool - intermediate conditions and high humidity. 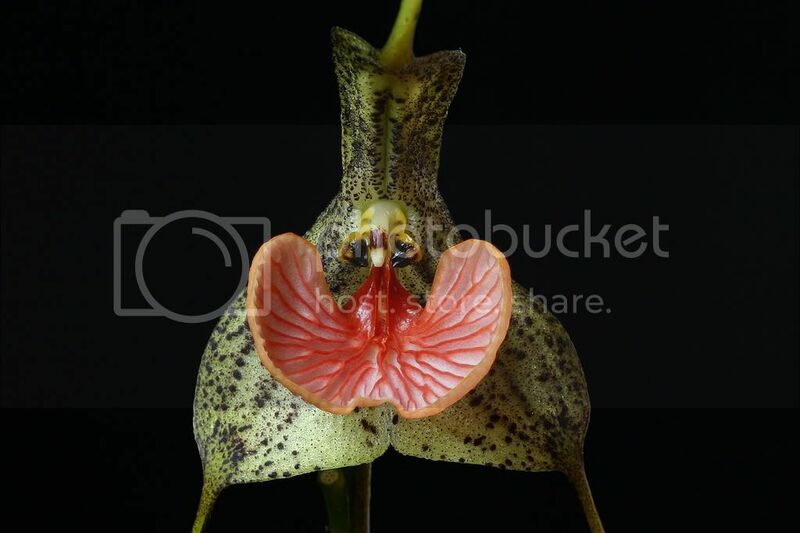 but the floral lip of the orchid Dracula chestertonii closely resembles the gilled structure of some mushrooms. 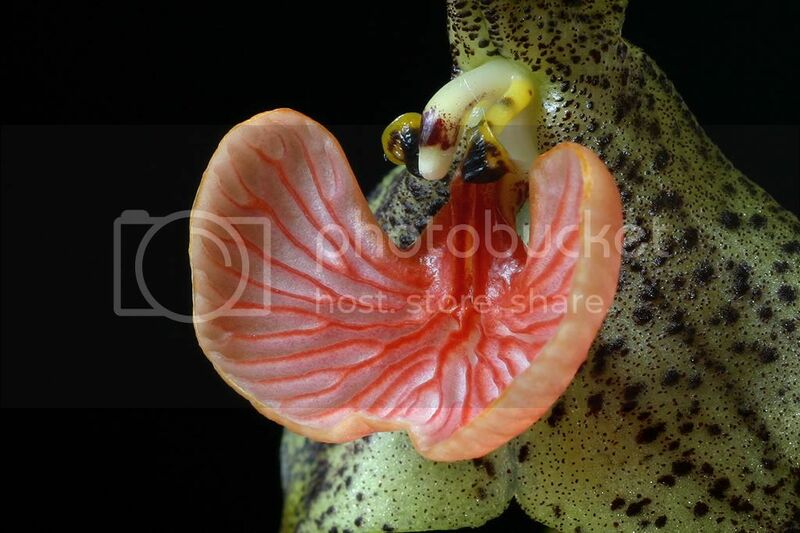 When female fungus flies are deceived into depositing their eggs on the flower, they also pollinate the orchid." Kaiser, R. 2006. 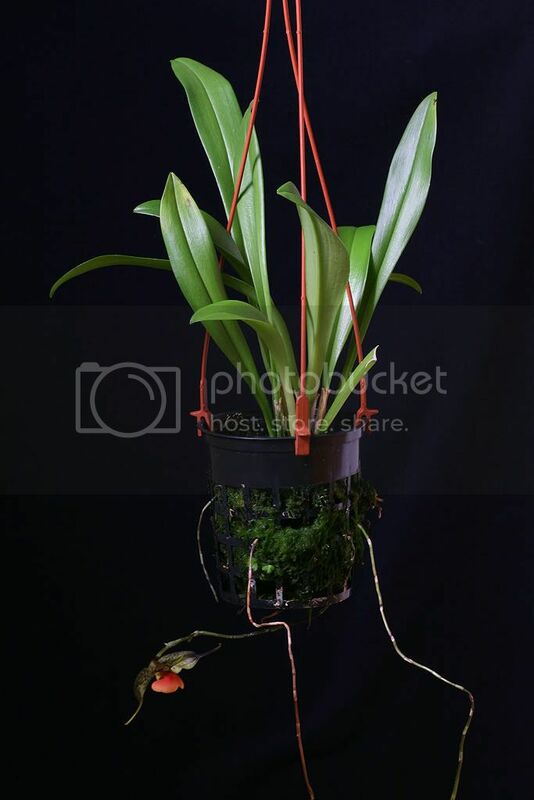 Flowers and Fungi Use Scents to Mimic Each Other. Science. 311(5762): 806-807.